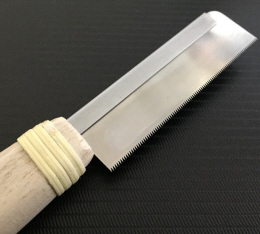 Japanese craftsmen have acquired new knowledge and techniques from the continent. 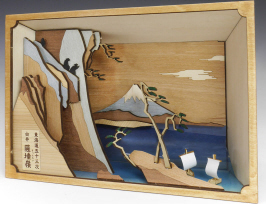 A palm-sized Japanese type ship and a world sail boat. 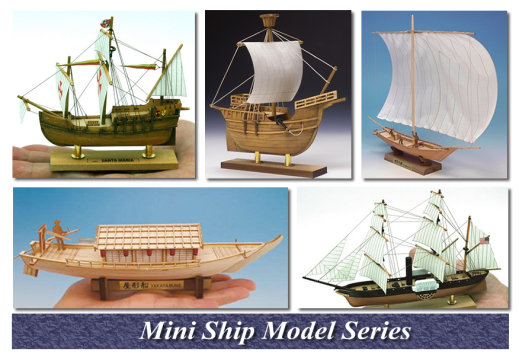 "Cruise Ship - ASUKA Ⅱ"
Online store of wooden model kit. 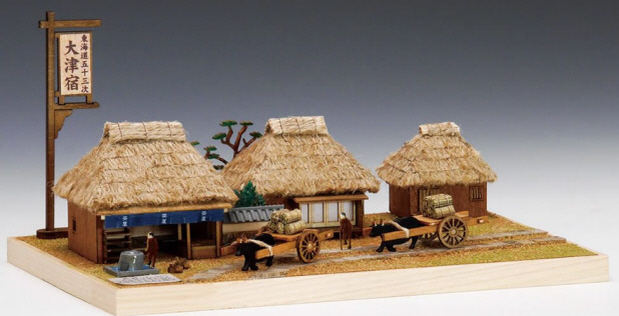 Purchasing wooden models We are present Japanese goods to our customers. 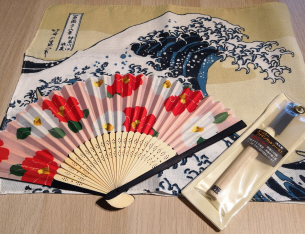 We have various items such as fan and towel depicting Japanese landscape. Please wait looking forward to what will be delivered to you. 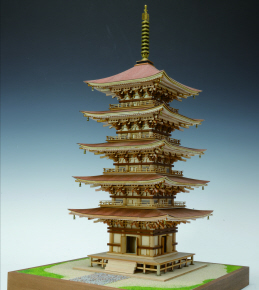 Beautiful wooden model produced by Japanese craftsmen. 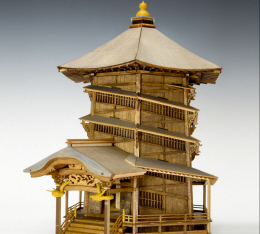 Japanese beautiful wooden buildings such as Horyuji and Byodoin. 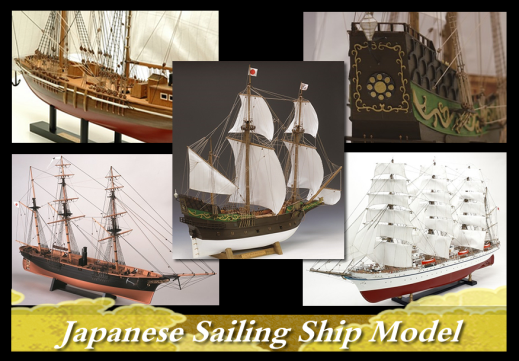 A characteristic Japanese ship and a model of a sailing ship representative of the world. 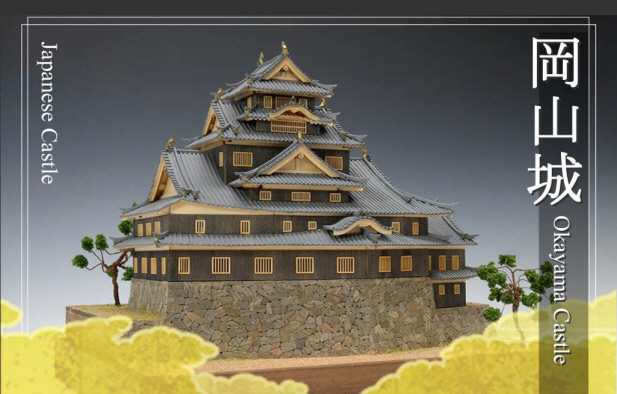 Please see beautiful wooden model which Japanese craftsmen planned and manufactured. 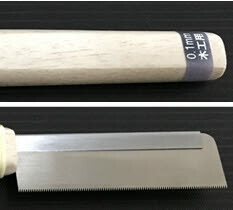 To customers who purchase products of 60,000 yen or more "Super Fine Cut Saw" presents! 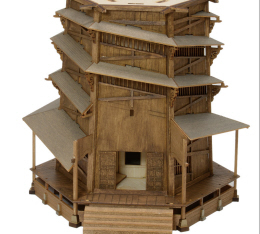 "1/75 Scale Hagurosan Five-Story Pagoda" "Yui Satta Rei - Ukiyo-e Layered art"
Improvement product April 15 sale start! 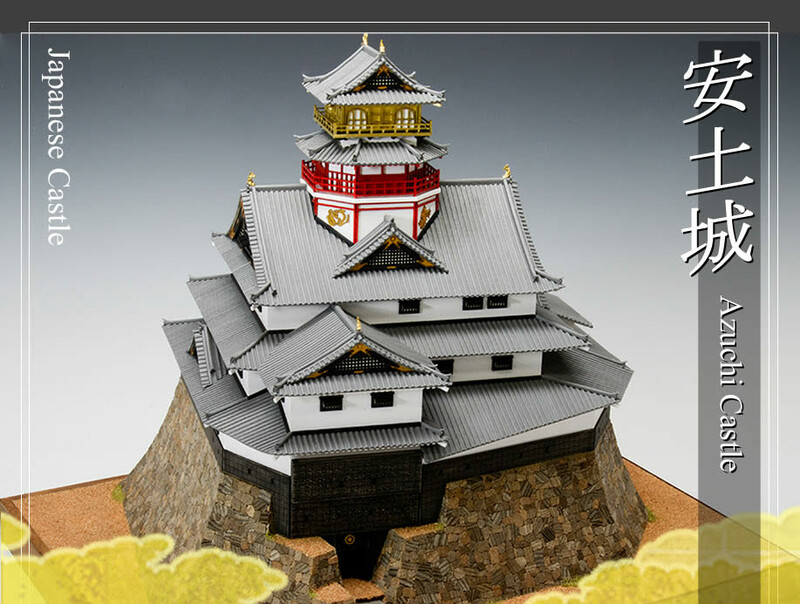 1/75 Scale "Aizu SAZAEDO Entsu Sansodo"
Castle of Crow "OKAYAMA Castle"
Woody Joe is the only wooden sail boat model maker in Japan. 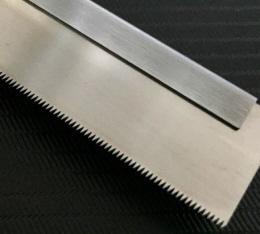 Products introduced at this shop are using laser-processed precision wooden parts and pursuing ease of assembly. Japanese ship has a structure that does not use keel. Please see the different hull structure from the European Sailing ships. The latest cruise ship and ancient Egyptian ship.The heart to pray for navigational safety is the same. 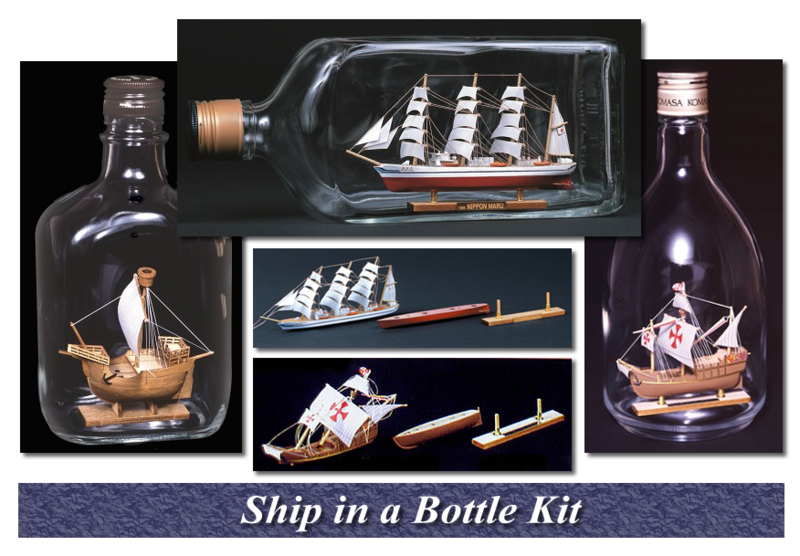 Easily assemble Ship in a Bottle. A palm-sized ship and a world sail boat.Let's build a ship at work break time. We will inform you about new products and campaign information that zootoyz sells. 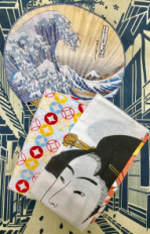 On Facebook, we are sending information on the products we received. 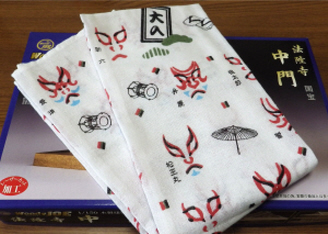 Also, I will tell the world traditional festivals and everyday Japanese landscape. 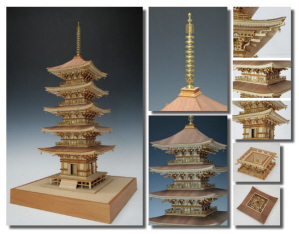 We offer a gift to customers who purchase wooden models. Facebook posted the latest information on zootoyz.jp. Please have a look! Looking for your work photos! 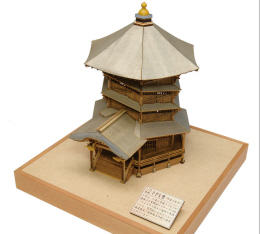 Please inform me of the site about your own models.